Oskar Frech GmbH manufactures die casting machines and tools. The contour-near-cooled casting moulds are produced additive by means of laser melting. 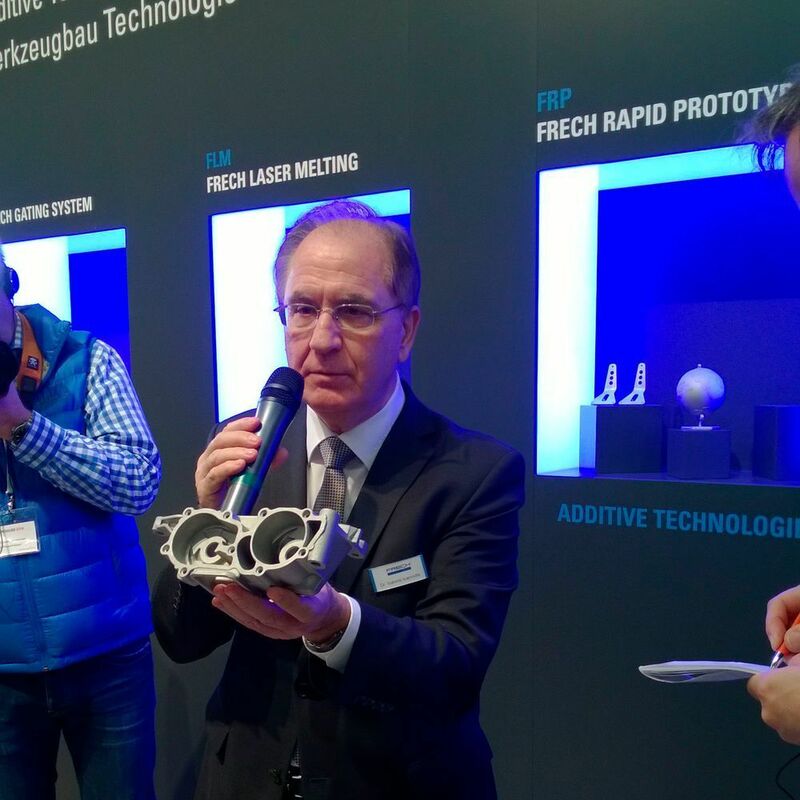 But prototypes and small series are also possible in steel and aluminium - as Dr. Ioannis Ioannidis, CEO of Oskar Frech GmbH, shows.